We stopped by the repair shop this week to chat with Repair Technician, Rachel Baker. 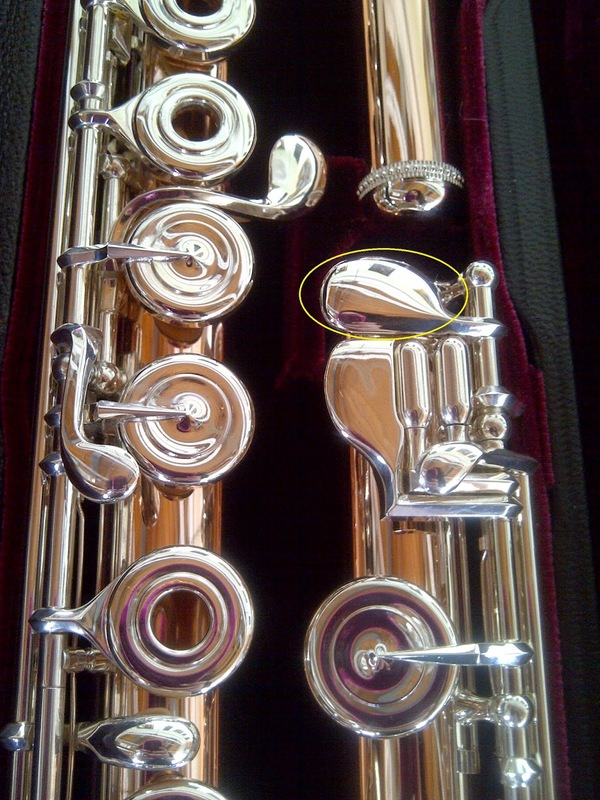 One of her customers asked if there are any "adverse effects" to adding a D# roller to your flute. Adverse effects... Hmm... So, we wondered if that meant sound or aesthetics. 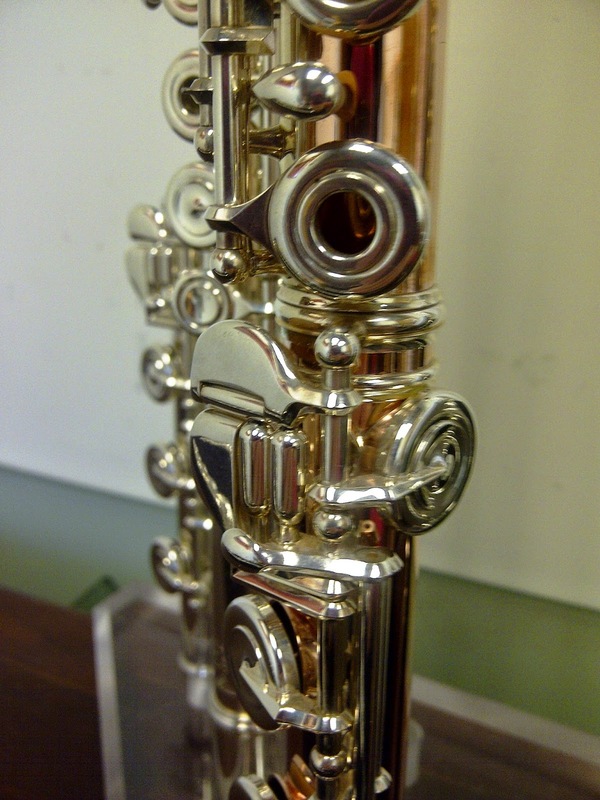 Rachel told us that in terms of sound, aesthetics, and mechanics, there is no downside to retrofitting a D# roller to your flute. Why is this? Well, it's because the only thing required for this is a different D# spatula, which is part of the full key mechanism. We have D# spatulas with and without a roller, so it's pretty much a part swap-out and not a change for the existing spatula. 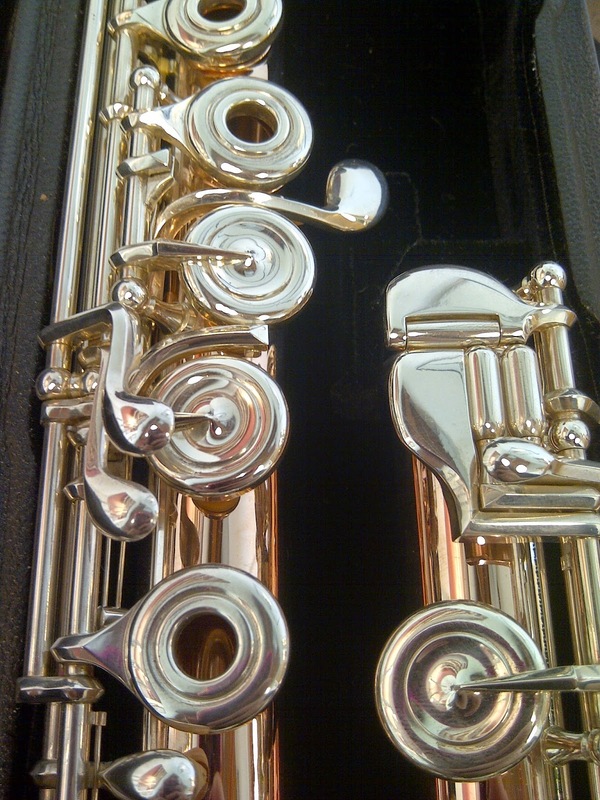 No need to worry that you'll have a "Frankenflute" with mismatched or oddly customized parts. If you're interested in getting a D# roller, it's perfectly safe, and it will certainly not change the aesthetics, sound, or mechanics of your flute. Also, the D# roller is available for flutes with silver keys or gold keys. Yellow circle around the D# spatula (without a roller) on a 9k Custom flute. A 9k Custom flute with a D# spatula that has a roller. This is what a "retrofit" D# roller would look like.